According to the most recent statistics from the Irish Companies Registration Office, an average of 1,637 new companies were registered in Ireland every month in the five years to 2017. This is the highest rate of new company registration in Ireland's history, and underlines how popular the country remains as a location for investors to form a company within the European Union. Ireland's membership of the European Union, with its access to the Single Market and the Customs Union, is a major reason why foreign investors are flocking to Ireland to form companies. However, what sets Ireland apart from other EU member states is a unique combination of several other factors, including its pro-business government, political and legal stability, a respected regulatory regime, its use of the English language, and its common law heritage. The corporate tax regime is also a major lure. Not only are taxable profits subject to one of the lowest corporate tax rates in the EU, of 12.5%, but the Government has put in place significant incentives to encourage investment in high-tech operations. These include a tax credit for research and development expenditure, and a reduced corporate tax rate of 6.25% on certain intellectual property income under the Knowledge Development Box (KDB) regime. Significantly, successive Irish Governments have committed to retaining a competitive corporate tax regime. And importantly, Ireland's tax regime, including the KDB, is considered compliant with all internationally agreed tax standards. Furthermore, Ireland has a wide network of double tax avoidance treaties with over 70 jurisdictions. Irish company law was reformed by the Companies Act 2014, which ushered in a more flexible regime that is more advantageous to both domestic and foreign investors. The legislation allows for the formation of numerous types of company. However, by far the most popular company form with investors is the private limited company, which affords shareholders protection from unlimited liability. Under the Companies Act, there are no requirements with regards to a private limited company's share capital, and a limited company can be formed with just one shareholder. The maximum number of shareholders permitted for a private limited company is 149, all of which may reside overseas. The company must submit an annual return to the Companies Registration Office (CRO). 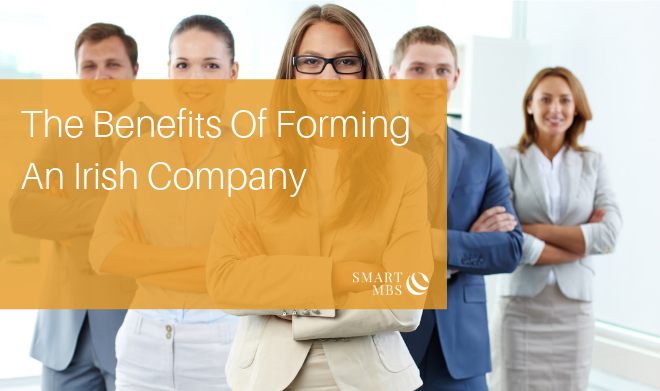 The actual process of forming an Irish limited company may seem complex, entailing the submission of the company's constitution and Form A1, together with the correct fee. The constitution is a standard document setting out the conditions upon which the company is granted incorporation and the rules under which the company proposes to regulate its affairs. A number of other details are provided on Form A1, including the company name, its registered office, its email address, details of its secretary and directors, their consent to acting as such, and the subscribers and details of their shares (if any). A company can be filed in paper form or can be completed online. 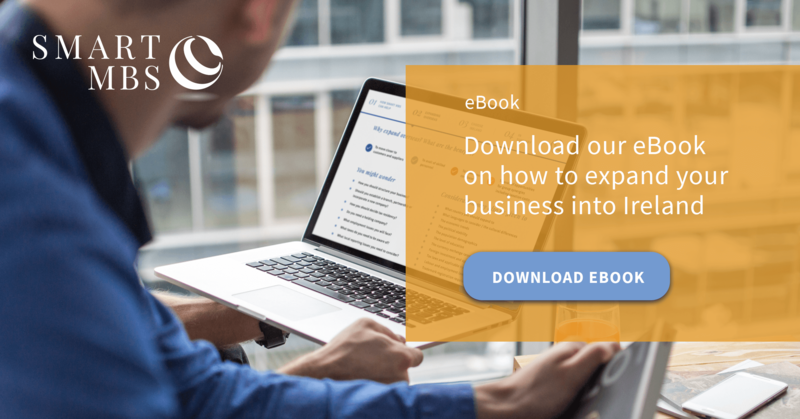 In keeping with Ireland's reputation for regulatory simplicity, online applications can be completed in a matter of minutes, with the certificate of incorporation usually issued within five days. SMART MBS has a global reach and many decades of experience in the area of international business growth. Ireland offers many unique benefits, including modest tax rates, a strong intellectual property (IP) regime, a highly educated workforce and an outstanding location within the Euro currency zone. SMART MBS can provide a cost efficient, turnkey solution, tailored to your specific business needs. With a professionally qualified team across a multitude of disciplines including lawyers, accountants, tax specialists, chartered secretaries and other relevant professionals. To learn more about our specific services please click here or download our eBook.